The TSC2 Trolley Spill Bin is designed for rack mounting a single drum. 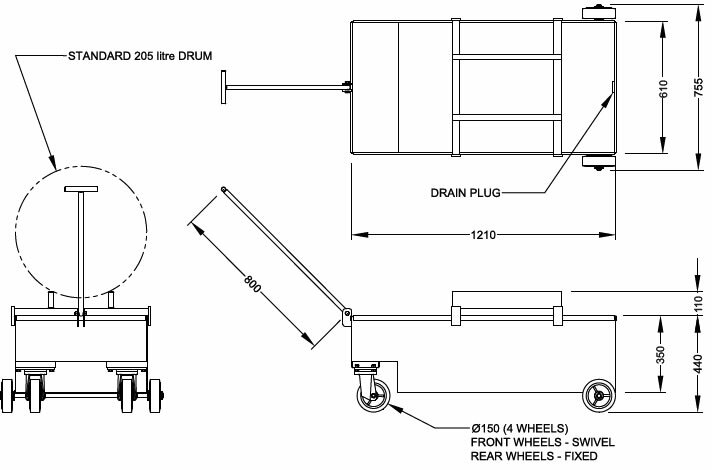 The drum is mounted onto the rack provided for easy drum dispensing. 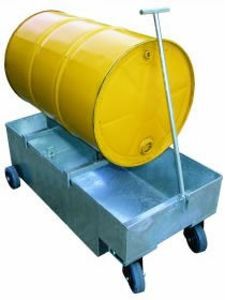 The Spill Bin is mounted on four 150mm diameter wheels, 2 fixed and 2 swivel, for easy manoeuvring. A drain plug is also provided for draining the bin.